The Installer application uses information property list (info.plist) files and description property list (description.plist) files to display information about a package and determine how it is installed. 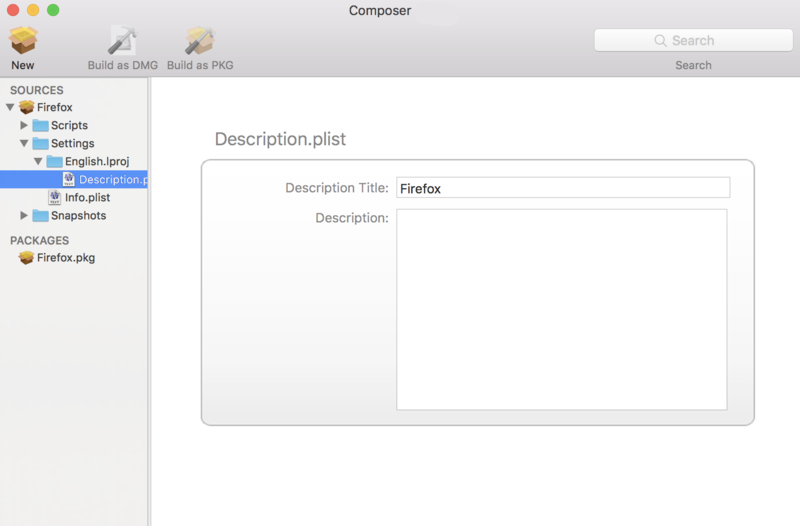 Composer allows you to edit the most commonly used information in these files. The info.plist file contains configuration information for a package. Composer allows you to define the info.plist keys and values shown in the screen shot below. After the screen shot, there is a list that further explains each key and value. Identifies the major version number. Identifies the minor version number. Specifies reboot protocol for a package. 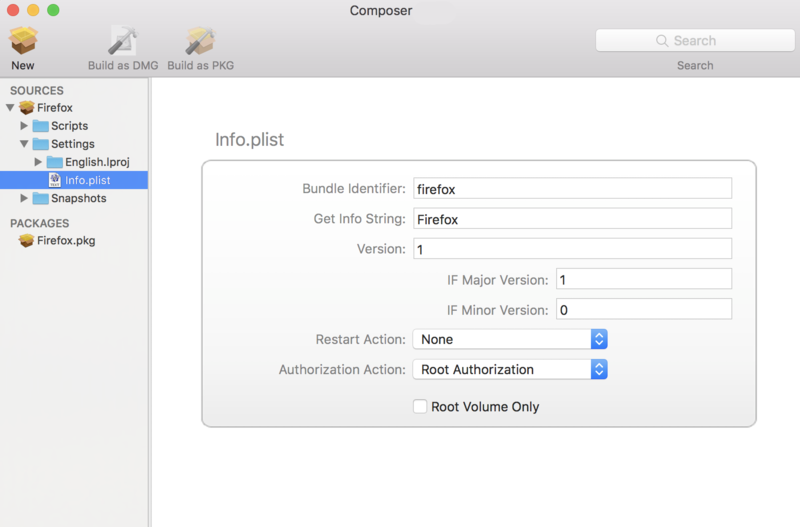 Indicates the package can only be installed to the root volume. Less commonly used keys and values are also contained in the info.plist file. If you need to edit these items, Control-click (or right-click) Info.plist in the sidebar and select Edit Manually. This allows you to add or edit items in raw XML format. The description.plist file allows you to define how a package presents itself in the Installer application. Each localization includes its own description.plist file that allows you to define a description title and description for a package based on the target language. There are other keys and values contained in the description.plist file. If you need to edit these items, Control-click (or right-click) Description.plist in the sidebar and select Edit Manually. This allows you to add or edit items in raw XML format.